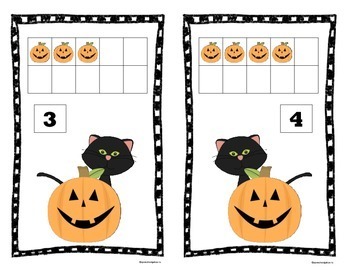 You students are sure to enjoy using these 10 frame mats for counting 1-10 this Halloween. 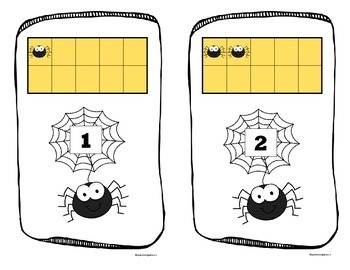 Kids love to use jack o’ lantern erasers and plastic spiders as manipulatives. The spider set also ties in nicely with a spider unit. 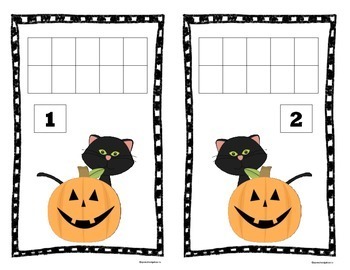 We have included 3 type of frames for different objectives you may have (pictures and numbers, pictures without numbers, and numbers without pictures) a set of number cards 1-10, an addition worksheet, and a subtraction worksheet. 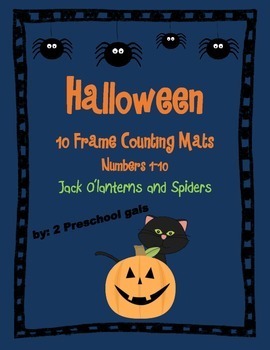 Our store also carries numbers 11-20 and a bundle set 1-20 at a discounted price. Have fun counting!